Comedian Bill Cosby’s trial begins today. It was reported that Bill Cosby’s wife, Camille Cosby, might accompany her husband during his trial. Find out details from Camille Cosby’s wiki, right here. Born on March 20, 1944, Camille Cosby’s age is 73. She was born in Washington D.C. to Guy A. Hanks Sr., and Catherine C. Hanks. She spent most of her childhood in Norbeck, Maryland, right outside of Washington. During an interview with Oprah Winfrey, Camille Cosby disclosed that she dropped out of college to marry Bill. She later continued her education and got a PhD in Education from the University of Massachusetts in 1992. “So I went back, and when I did, my self-esteem grew. I got my master’s, then decided to get my doctoral degree. Education helped me to come out of myself, to come out of the home, because I had been raising my children. Not that that is a bad thing; it is the most difficult job I have ever had. But that was just one part of my womanness. I had to fulfill myself in other ways, to pursue my interests, to know that I could do many things,” she explained. They couple met in 1963, when Camille was a student at the University of Maryland. She met Bill on a blind date, and they were together for a year before deciding to get married. While talking about her marriage, Camille said, “I never felt overshadowed, but I looked up to Bill. He is seven years older than I, and he has always had a maturity, even when he was 26, when we married. So I respected his wisdom and his knowledge.” The two have five children: Erika (born in 1965), Erinn (born in 1966), Ennis (born in 1969), Ensa (born in 1973), and Evin (born in 1976). Today' s Celebrity Style Star:#camillecosby. Demonstrating grace and class even in challenging times! 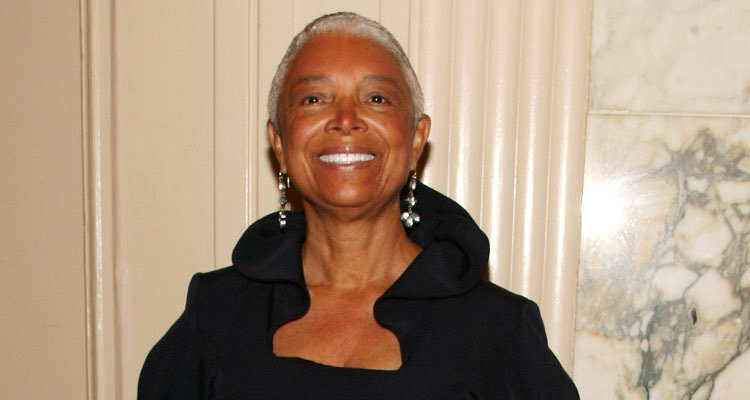 With her work as a producer and author, Camille Cosby’s net worth is approximately $20.0 million. Being the president of COC Productions and C&J Productions, as well as her producer credits, attribute to her wealth.